One of New Zealand’s most sought after M&A lawyers, Cathy Quinn has in the past year led teams on major deals and IPO’s for clients, such as Diligent, CBL, JBS, VINCI Construction and Iron Mountain. Quinn is an executive board member of the New Zealand China Council and co-leader of the Prime Minister’s business delegation to China in April 2016. 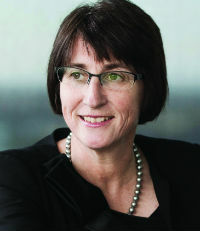 Quinn is the only female chair of a large New Zealand firm. In addition, for the past eight months she has performed the managing partner role while leading the global search for a replacement. Quinn is a member of the Commercial Advisory Board to the New Zealand Treasury.